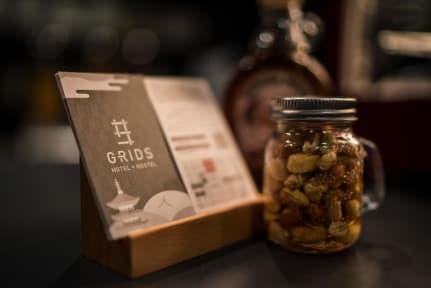 Grids Kyoto Shijo Kawaramachi Hotel & Hostel is a hostel located in the heart of Kyoto’s downtown, Kawaramachi. This is the central area and the commercial center of the city. We have dormitory rooms and private rooms to meet multiple needs. Our hotel and hostel are equipped with cafe and bar on the first floor so you can spend good time with other travelers and use the designated areas as your work. Kiyomizu-dera Temple is 2.1 km from Grids Kyoto Shijo Kawaramachi, and Kyoto Station is 2.3 km from the property. The nearest airport is Osaka Itami Airport, 38.6 km from Grids Kyoto Shijo Kawaramachi Hotel&Hostel. The epitome of traveling is the fact that you get to meet people,come across things, and spot a scenery you have never seen. 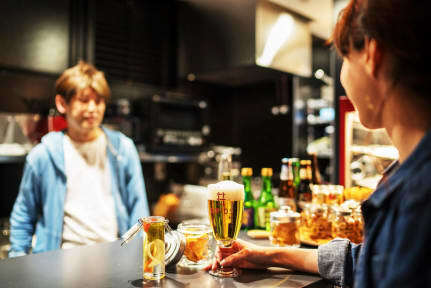 We are here to help you find new ways to enjoy and connect with Japanese culture and tradition. We are set out to provide a hostel where travelers can gather together and connect with each other both on a physical and emotional level.